The first thing to keep in mind is that, whenever you speak, you have to refer according to the genre: it means, you answer will be different if you talk to a male of a female. In addition to it, if you refer to a group of people, you will have a third expression. 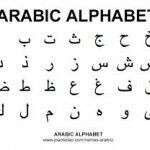 Arabic is more formal than English, especially while saying greetings, that is also why some expressions can change according the situation (as showed below). Don’t be afraid to make mistakes, and always use the sentence asking if they speak English. You have already won if you used it. to male: enta bititkallim inglīzī? to female: entī bititkallimī inglīzī?